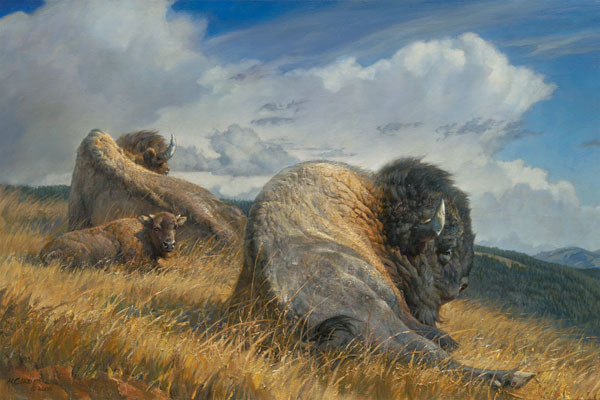 Nancy Glazier is one of today's most talented wildlife painters. She has a passion for her subjects and brings them to life with her paintbrush. This trio of bison have found a spot to rest on the "High Ground." Lush grasses surround and cushion them on the windswept hillside. With the security and comfort of having its mother nearby, the bison calf enjoys its rest as these monarchs of the plains take in the view from "High Ground."